Edith Wilson and Secret Service protection for life? Jacqueline Kennedy's contributions were enormous to the Kennedy presidency, both in small detailed ways and the larger overall impression of it. As someone who had studied both journalism and history she had a unique perspective on the history she and her husband were living and making. She helped shape the public image of it by working with the White House photographers, arranging the visual and symbolic aspects of its ceremonial contexts, including the President's funeral and then through her ongoing efforts as a widow to shape the narrative of how the Kennedy Administration and its accomplishments (the most important and notable to her were the Nuclear Test Ban Treaty and the Peace Corps). Along these lines, you might try and locate what is surely one of the most astounding diplomat letters written by a First Lady - the one sent a day or two after the President's funeral to Soviet Premier Nikita Khrushchev. Nuclear disamament of was importance to her and she expressed this in private, including her participation in a meeting on the issue between the Presdient and British Ambassador. Also as a youmg reporter before she had even met JFK she had her own concerns about the US commitment in Southeast Asia. As a Senate wife she predicted there would be no end to American withdrawl in Vietnam. In 1989 correspondence with me she also affirmed that the President had told her as they were deplaning in Dallas that he was recalling Henry Cabot Lodge, the Ambassador to Vietnam, because of his making further commitments, and that he intended to scale back the US presence there after what he intended to be his re-election to a second term in November of 1964. As for her own separate legacy, I would make a distinction between "redecoration" of the White House and really her leadership as a pioneer in the US historic preservation movement, especially of urban downtowns. Her vision of how Lafayette Square could be saved yet also serve a modern practical purpose served as a blueprint. Additionally, she was the spur for the federal government support of the arts and humanities - not just the large established museums and theater, music and dance companies, but the experimental and uniquely American regiona as well. Her role in the 1960 campaign was substantial in private and less so in public since she was pregnant. Most overlooked and yet most importantly, however, is that she may have played a key role that ultimately threw New York State's electoral votes to JFK following her avid courting of the Latino vote in that state. As a result of the 1963 Kennedy assassination, former First Ladies whose husbands were still living after their White House incumbency had Secret Service protection by default through the former President who was technically the one being guarded by the order of the new President, Lyndon Johnson. Since this was applicable to Herbert Hoover, Harry Truman and Dwight Eisenhower, it also somewhat covered Bess Truman and Mamie Eisenhower. Also, for the first time, a single - meaning widowed - First Lady, Jacqueline Kennedy, was given protection by vote of Congress as were her children. She lost her protection with her 1968 second marriage and they upon turning 16 years old. When Eisenhower was dying at Walter Reed Hospital in 1968, former President Lyndon Johnson saw that Mamie Eisenhower would be left essentally abandoned and isolated after her husband's death; thus he signed into legislation the first protection of former First Ladies (thus including presidential widow)s as automatic. It has applied toBess Truman, Mamie Eisenhower, Lady Bird Johnson, Pat Nixon, Betty Ford, Rosalynn Carter, Nancy Reagan, Barbara Bush, Hillary Clinton and Laura Bush. Hillary Clinton has a larger protective detail due to her status as Secretary of State.Several years before his 1994 death former President Nixon and Pat Nixon gave up their Secret Service protection. The only former First Ladies to marry a second time after being widowed from their marriages to Presidents were Frances Cleveland and Jacqueline Kennedy. The first member of a First Lady's professional staff to be "officially" salaried by the federal government occurred over a century ago, when Mrs. Theodore Roosevelt hired Isabelle Hagner as her Secretary. Regarding her immediate predecessors in the late 19th century, however, First Lady's also drew on the work hours of other federally-salaried employees who were part of the small professional staff that worked in the Executive Offices. Frances Cleveland, for example, had her large public correspondence handled by those who also worked ro answer the general presidential correspondence. Officials from the State Department often arranged official state entertainments when an envoy or representative of a foreign nation was to be received at the White House. All of Ida McKinley's correspondence and public entertaining was taken care of by George Cortelyou, the President's Secretary - or the President himself. As far as personal secretaries to handle finances, family matters, etc., 19th century First Ladies often drew on the time and talents of a close friend or relative. Caroline Harrison, for example, had her widowed niece Mary Lord Dimmock work as her secretary - in trade for her living for free at the White House. Lucy Hayes drew on the secretarial efforts of various young women relatives who enjoyed the social seasons of the White House and also stayed there in the "public housing." Others such as Lucretia Garfield, Julia Grant, Mary Lincoln, Jane Pierce had their public correspondence handled by the federally-salaried aides to the President or responded themselves by handwritten letter (the typewriter was not in use until the Hayes Administration). Attempting to delineate "staff" of a First Lady in the early and mid-19th century, however, also becomes complicated because many male presidential relatives worked as the President's Secretary and helped the First Ladies (or their wives did) with public duties. This position was not federally-salaried until James Buchanan's Administration. However, previous Presidents had been traditionally "detailing" the federally-salaried position of Secretary of the Land Office to the White House and using them as Secretaries - and this role was almost always filled by male relatives who made their home in the public housing of the Executive Mansion (as it was then officially called). These were roles played by Abigail Adams's son, Dolley Madison's cousin, Elizabeth Monroe's nephew, Louisa Adams's son and nephew, Letitia Tyler's son and Julia Tyler's stepson, Sarah Polk's nephew-by-marriage, Peggy Taylor's son-in-law, Abigail Fillmore's son, the brother of Harriet Lane (bachelor President Buchanan's official hostess and niece), and Eliza Johnson's son. Going back to the first presidency just as the public was just becoming aware of the public and private roles a president's wife could play, there was no precedent. Martha Washington had the support in planning social events of Polly Lear, the wife of the President's secretary Tobias Lear. I believe Tobias Lear may have been federally salaried and even lived in the "public housing," the pre-White House presidential residences occupied by the Washingtons in the capital cities of New York and Philadelphia. So Mrs. Lear was not salaried but she did benefit from taxpayer funds, quite indirectly. If it is very difficult to draw comparison to the modern East Wing (where the staff of FLOTUS is based) and the 19th century, one sees it clear evolution through the 20th century as the roles of women increased in politics and public issues and the technology of media proliferated. Nellie Taft, Ellen Wilson, Edith Wilson, Florence Harding and Grace Coolidge were all allocated one federally-salaried "Social Secretary" to help with social events and used the increasing number of aides in the stenography and typing pool that serviced the West Wing. The millionaire Lou Hoover supplemented this with three secretaries she salaried personally. Eleanor Roosevelt's astounding activism and the media and public interest it generated placed increasing demand and public expectation of a First Lady to respond directly to them and to take responsibility for the nation's needy as her "constituency," almost as a maternal figure within the presidency. Thus, a second position was created - Personal Secretary, along with Social Secretary. Bess Truman continued this. Mamie Eisenhower had one secretary, Mary Jane McCaffree, who functioned as a Chief of Staff but drew on the time of other federal workers such as the President's Press Secretary for media relations, State Department's Chief of Protocol for state dinners. Mamie Eisenhower was the last First Lady who did not undertake or accept a particularly designated project or effort on behalf of a public issue or aspect of improving some segment of public life. Not only the enormous public fascination with Jacqueline Kennedy, but the global media attention she received and her projects of restoring the White House, promoting historic preservation, and American arts and culture led to a re-structuring of a First Lady's staff which became the genesis of the modern East Wing. She had federally-salaried aides which included not only the traditional Social Secretary/Chief of Staff (Letitia Baldrige), but also Press Secretary (Pamela Turnure), Personal Secretary (Mary Gallagher), Curator (Bill Elder, and then James Ketchum), Correspondence Director (Hortense ). Furthermore, she worked on numerous projects including the writing and editing of the first White House guidebook, with federally-salaried presidential aide, the historian Arthur Schlesinger. Each of these newly designated divisions also had typists and other aides working in the East Wing. One other important factor to keep in mind: the "domestic staff" cares for the "Residence" (where the First Families live, work and entertain) is run by the Chief Usher and under that position the Housekeeper. These are not the sort of staff jobs that are "political" but rather career civil service, and on paper they are autonomous from the East Wing. In reality, they work at the direction of and in tandem with the wishes of the First Lady and the East Wing. Using the Kennedy model, succeeding FLOTUS staffs have grown to include Advance Office for domestic (Lady Bird Johnson) and foreign trips made by First Ladies (Pat Nixon), Speechwriting (Betty Ford), Chief of Staff (Rosalynn Carter), Projects Director (Nancy Reagan). These remain the principal divisional designations for the East Wing, with varying numbers of aides working to support the needs where they arise, certainly a factor determined by the choices of public commitments made by the individual First Ladies. The year 2009 marks a full thirty years since the federal government by Congressional designation has routinely made public appropriations for a professional staff for a "president's spouse" on the condition and premise that the staff aides the spouse in providing support to the president in carrying out the duties and responsibilities of the modern chief executive. The story of how First Ladies came to have a professional staff is, in and of itself, a fascinating glimpse into the growth of the federal government, the increased political stature of presidential wives, the enlarging public expectations of these women to consider the American people their constituency. It also reveals elements of the changing forms of societal norms, expansion of technology and the relevance of social life to political success. Today, the staff of a First Lady takes its offices in the East Wing of the 18-acre "White House complex," also consisting of the "Residence," and "West Wing." The staff is salaried by public funds through annual executive branch appropriations approved by Congress. These funds have been specifically appropriated to the East Wing staff since the Carter Administration with law that essentially states that their responsibilities are to aid the presidential spouse in efforts to aid the president in their official duties. The first federal funding for a staff member to specifically aid a First Lady in the clerical work of interfacing with the press and public and planning White House entertainments occurred during the 1901-1909 tenure of Edith Roosevelt; her secretary, Belle Hagner, went on to later return to the position under Ellen Wilson, from 1913 to 1914. The East Wing was built to provide office space for military personnel in the White House during World War II. Since military aides served as social aides at presidential entertainments, the social office naturally situated there. Before that time, the increasing need for some professional help to First Ladies in carrying out the traditional responsibilities of White House hostess was met any way it could be - by wives of presidential aides and clerks, relatives who were often full-time residents in the White House during the old "social season" from November to April, or other government clerks who were "loaned" from different executive branch agencies. Martha Washington, for example, relied on the help of Polly Lear, wife of President Washington's primary aide Tobias Lear. Her role was essentially to prepare guest lists, send invitations and see to the smooth operations of receptions and other public entertainments. Mrs. Washington's immediate successor, Abigail Adams, depended upon her male housekeeper and his wife, the Brieslers, to enlarge their routine responsibilities of ordering food and maintaining the houses the Adamses lived in, to include social events. Julia Tyler's sister Margaret Gardiner worked as her social secretary. Sarah Polk used the wife of her husband's nephew as her social secretary, while he served as the President's private secretary. Mary Lincoln was helped by the housekeeping staff already in place and salaried by the government. Caroline Harrison's widowed niece Mary Lord Dimmock not only lived in the White House with her aunt and worked as her secretary - she later married her widowed uncle, when he was former President. Frances Cleveland paid out of her own pocket the salary of her friend Minnie Alexander to work for her. Beyond the entertaining responsibilities of First Ladies, these women were called upon from the start by not only American but world citizens seeking financial or other help in dire situations, requesting souvenirs, seeking commercial or artistic endorsement, asking their views on issues, expressing their opinions about the President or policy, or trying to get them to intercede with officials on a matter pending before the government. Responses were handled in an ad-hoc manner over the years. There is evidence that Dolley Madison read and responded to some of her public mail. Louisa Adams even initiated correspondence with a magazine editor when she read a false account touching on the president's personal life. Many of the public letters never reached the eyes of the First Ladies, being first vetted and then handled by the President's private secretary. By the Lincoln era, the letters to First Ladies were routinely opened and read by those who handled presidential correspondence or an enlarging typing pool, once the typewriter came into use in the executive offices in the 1880's. Still, by the late 19th century, however, there were examples of those First Ladies who routinely handwrote their own responses to the public, such as Julia Grant and Frances Cleveland who composed thank you notes acknowledging things sent to them, or accepting or refusing invitations to join charity efforts. More frequently, however, responses from First Ladies were written by executive clerks and signed by the women. The most interesting examples of this were the letters Ida McKinley signed in response to public inquiries - the body of the letters were handwritten by the President himself. With the establishment of the First Lady's Secretary as a federal position in 1901, most often these secretaries were given the added responsibility of responding to public inquiries, and signing their own names with dictated responses from First Ladies or on form letters (some of which were first generated for First Ladies in the 1890's). Thus, women like Alice Blech (secretary to Helen Taft), Edith Helm (Edith Wilson), Laura Harlan (Florence Harding), Mary Randolph (Grace Coolidge), Mildred Campbell (Lou Hoover) Malvina Thompson (Eleanor Roosevelt), Reathel Odum (Bess Truman), and Mary Jane McCaffree (Mamie Eisenhower) became familiar figures in Washington and names across the country, increasingly finding themselves the subject of media publicity. As the increasing sophistication of television in the late 1950's and early 1960's converged with the arrival of the youthful and popular Jacqueline Kennedy, the First Lady's office was overwhelmed with requests for information and cooperation on profiles they were doing about her in all formats - newspaper, magazine, books, radio, television. Thus, the first Press Secretary to a First Lady, Pamela Turnure, was hired with entirely separate responsibilities from the Social Secretary. With Lady Bird Johnson's tenure, the ascendance of the East Wing was assured by the hiring of Liz Carpenter, a Press Secretary who had been a professional working journalist and knew not only how to satisfy but sell editors on a story peg about the First Lady, in effect creating publicity about her boss's numerous activities. Carpenter structured the offices with professional management, serving as unofficial staff director as well and creating a strong liaison with the President's staff in efforts to coordinate the activities, media and efforts of both principals. She also designated specific responsibilities to assistant press secretaries and even temporarily requisitioned the West wing press aide and later CNN president Tom Johnson to handle media relations on the bridegroom of presidential daughter Luci Johnson in the days leading up to her wedding, covered by the international media. Particularly in the area of handling media questions or generating stories, tensions inevitably grew between the East and West Wings, the former seeking to control the latter if public controversies or other issues were raised by the First Lady that seemed to seriously impact the President. Media interest in First Ladies grew in conjunction with the women's movement in the 1970's and staffs of Pat Nixon and Betty Ford encountered increasing pressures from many sides - the West Wing, the media, and special interest groups. With Pat Nixon's extensive domestic and international travels, and Betty Ford's involvement in domestic policy such as the fight for a constitutional equal rights amendment, the first, formal speechwriting was regularly conducted by multi-tasking staff members who also handled other new types of duties for First Ladies, such as scheduling and advance, or special projects. During Rosalynn Carter's tenure, the first Chief of Staff, Kit Dobelle, was finally hired to oversee all operations. Nancy Reagan became the first First Lady to hire a male Chief of Staff, James Rosebush, Barbara Bush the first to hire an African-American Press Secretary, Anna Perez, and Laura Bush the first to hire a male Press Secretary, Gordon Jondroe. With her own activism on many substantive issues of her husband's Administration, Hillary Clinton relied on members of her staff, most frequently her second Chief of Staff Melanne Verveer, to work closely on policy-related issues with the President's staff, thus more closely integrating the two staffs than at any other previous time. A former President receives a pension based on his having served as Chief Executive. No Pension is given to a former First Lady. However, if a former President dies and leaves a widow, there is a precedent established of providing the former president's widow a pension. It is not automatic, but rather voted for by Congress. There have been some circumstances when the pension has been denied - Mary Lincoln and Mary Harrison, although eventually it was given to them. The premise of this pension is that they would not have enough money to live in retirement at a level that would provide support to permit them to continue to live in a certain degree of dignity. However, the last presidential widow given this pension was Lady Bird Johnson. It is my understanding that neither Nancy Reagan nor Betty Ford have not requested and not been granted the presidential widow's pension. Also the original presidential widows pension was awarded to women whose husbands died in office - Anna Harrison, Peggy Taylor, Lucretia Garfield, Ida McKinley, Jacqueline Kennedy, Florence Harding, Eleanor Roosevelt. It is only relatively recently that the wives of non-incumbent presidential candidates began speaking at conventions. First Ladies who spoke were of course doing so technically as presidential candidate's spouses of presidents running for re-election. Between Mrs. Roosevelt and Mrs. Reagan (in 1984), the only other incumbent First Lady to address a convention was Pat Nixon in 1972. She was introduced with a great little film, narrated by Jimmy Stewart, focusing on her work as the president's representative to Liberia, Ghana, and the Ivory Coast - trips she made without him and which, although billed as "goodwill" missions did involve her transmitting policy to those nations from the U.S. and vica versa. Betty Ford did not address the 1976 Republican convention. Rosalynn Carter did not address the 1976 nor 1980 Democratic conventions. Nancy Reagan did not address the 1976 or 1980 conventions. She did, of course, address the 1984 one - and renewed the tradition begun only by Eleanor Roosevelt and Pat Nixon. I don't recall that Nancy Reagan, Barbara Bush, or Kitty Dukakis did so at the ones in 1988. Of coruse, as an incumbent Barbara Bush did so in 1992. Hillary Clinton did not speak in 1992 but did so as an incumbent in 1996 and, as a Senate candidate in 2000. I can't recall if she did so in 2004. I believe it was Elizabeth Dole who became the first non-incumbent candidate's spouse to speak at the convention nominating her husband, in 1996. Laura Bush also did so, in 2000, as a non-incumbent's spouse. And then of course, there are a few former First Ladies who did so. Nancy Reagan spoke at the San Diego Republican Convention. Eleanor Roosevelt did so but I can't recall if she spoke at all of those after the FDR Administration - 1948, 1952, 1956 and 1960. The FDR Library would have that information. At the 1964 Democratic Convention, there had been some preliminary plans to have the recently-widowed Jacqueline Kennedy address the convention that nominated incumbent President LBJ - who had, of course, succeeded to the presidency some nine months earlier with JFK's assassination. Pressure was brought to prevent this - LBJ very much feared that the tremendous sentiment at the convention for the late President might start a movement of delegates to spontaneously nominate, or at the very least, provoke some delegate voting for his brother Robert Kennedy, then running for the New York Senate seat. Instead, Jacqueline Kennedy held a massive reception at the convention - receiving guests with First Lady Lady Bird Johnson at her side. When LBJ called Mrs. Kennedy on the plane she was about to leave the convention on, she refused to bow to his wish to be photographed with him. Going back into the early 20th century, you might say that technically Edith Wilson did address the 1928 Democratic Convention in Houston. Her late husband's name was being praised by the speaker - I believe it was the Governor of Texas - and she was at his side. When the crowd cheered, she stepped up to the microphone and said "Thank you." Perhaps the most curious footnote on all this are the facts surrounding the first time a candidate's spouse attended a presidential convention. It was in 1912 and the wife of the Republican candidate - incumbent President William Howard Taft - the pro-suffrage, highly-political Helen "Nellie" Taft took the train from Washington to attend several sessions of a convention -- the Democratic one nominating her husband's opponent Woodrow Wilson! She sat front and center while William Jennings Bryan spoke as a way of trying to keep his anti-Taft rhetoric down in her presence! To date, it remains the only example of the wife of a candidate attending a convention that nominated her husband's opponent. Thank you so much for your inquiry regarding President Obama's mentioning of his wife in his opening remarks to Congress last night (23 February 2009). It is the first time that a President has mentioned the "First Lady of the United States" in his opening introduction - before he began the actual content of the speech. However, since Ronald Reagan - for certain - every President has either expressed appreciation or drawn attention to his wife in the visitor's gallery watching the speech, thus giving visibility to Nancy Reagan, Barbara Bush, Hillary Clinton and Laura Bush. They have done so for either or both of two reasons: one, to draw attention to the special guests seated with her whose stories are used to illustrate a point of policy in the President's speech, and secondly, to bring attention to the work of the First Lady in a specific area of public problems, whether or not her work is tied to a piece of pending federal legislation proposed by the Administration. In the instance of last night, however, it was a unique mention: acknowledgement of the importance the First Lady role is to the government. The first public notice of a First Lady sitting in the visitor's gallery during a Presidential Address to Congress with a special guest chosen to signify some symbolism that references elements of the speech occured on 8 December 1941, when Eleanor Roosevelt asked Edith Wilson, the former First Lady and widow of President Woodrow Wilson (who led the U.S. into World War I). Of course, the speech was the famous declaration of war by President Franklin D. Roosevelt, bringing the U.S. into World War II. It did not seem to become a firmly established custom, however, until Bess Truman appeared during the 1952 President's State of the Union Address to Congress, while seated with Winston Churchill and British Prime Minister Anthony Eden. From doing my research for my biography of Mrs Harding, the name Antoinette Jackowska-Peterson does not seem familiar. That said, I do recall that Florence Harding made a point of not ostracizing divorced women from social events at the White House. I believe one specific person to whom this was applicable was a woman who was divorced from her first husband - but went on to remarry and become the second wife of General Douglas MacArthur. Her name escapes me at the moment and I do not have a copy of the biography right at hand. Unfortunately, the papers of Mrs. Harding were not preserved with any sense of regularity. She burned some of them, others were packed with the president's papers after his death and returned to their home in Ohio where their doctor and his son, Charles and Carl Sawyer took possession of them. Not until 1964 were they released - but some three decades later, following the death of Carl Sawyer's son in Mansfield, Ohio - many of the letters he illegally removed from the papers found their way into flea markets and antique shops and to autograph dealers. Certainly had there been any letter of substance that would have touched on divorce or suffrage or Polish-American issues I would have used it since the focus on my work on her was on substantive issues. For further resources - if you are in Washington, D.C. at any time, there are also the papers of White House Chief Usher Irwin "Ike" Hoover located in the Manuscript Division of the Library of Congress. I believe there is an online finding aid. In his papers you will find a fairly complete list of visitor's to the White House who arrived to meet with the presidents and their wives - including the Hardings - whose tenure during which he worked. Going through the handwritten names for each day of the Administration might provide you with the day she visited. However, there is also an unusual aspect to this: many guests that the Hardings did not want to have as "on the record" were not registered or were brought in through different entrances - this according to White House aides - I believe, Hoover among them. It is all in the Florence Harding book's endnotes. The most important thing for everyone to remember is that the role of the presidential spouse - even today when a staff for the spouse is federally funded (it is authorized by congressional appropriation to a staff to aid a spouse in helping the president carry out his duties is the sort of wording it is given) - is that it is neither an official nor required position. It has simply evolved over time with an increasing level of expectations from the media and the public. That said, there have been four presidents who were widowers, two who entered the position as bachelors and several whose wives were invalids. In these cases, as you indicate, there were various women relatives who played the public role of co-host at official entertainments or at public ceremonies and events. Yet each chose a path so different that it indicates how flexible all of this really has always been. Jefferson, for example, essentially served as a single host without a First Lady. 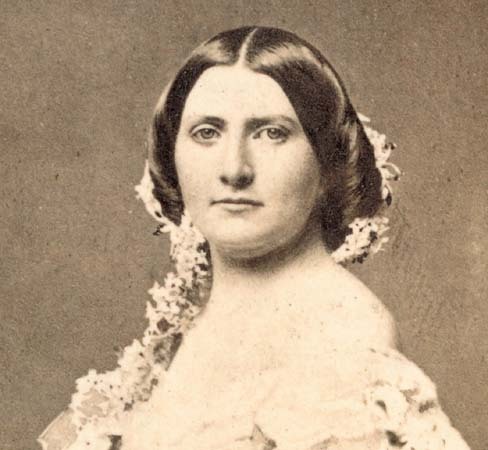 At many dinners he did have the Secretary of State's wife (Dolley Madison) or occasionally his visiting daughter Martha Randolph there with him, but he was the main - and singular host in charge. Van Buren did the same until his son married while he was President but then designated his daughter-in-law Angelica Van Buren as the lead public figure at receptions and entertainments - yet he still made the household decisions regarding food, refurbishment of the public rooms and entertainment. Upon his 1829 Inauguration, Andrew Jackson had his niece Emily Donelson serve as hostess and then when his son married, his daughter-in-law Sarah Jackson became a co-hostess, and then Emily Donelson returned to Tennessee and Sarah Jackson was the sole hostess - so that was an Administration of variety, in terms of the role. By the latter 19th century, it seems most Presidents did establish one hostess (none of whom were ever granted the protocol ranking/status of a presidential wife - but rather as a family member, which I think is sort of like one notch down.) This was the case of bachelor James Buchanan (his niece), bachelor Grover Cleveland before he married (his sister) and widower Chester Arthur (his sister). Oftentimes, in the case of invalid presidential wives, these women served as the primary figurehead and might sporadically appear at public events as the designated presidential hostess, but were accompanied by other, stronger female family members who, in fact, worked consistently running the household, appearing in public or presiding over receptions and events. Examples of this include Peggy Taylor, whose daughter Betty Bliss was hostess, Eliza Johnson, whose daughter Martha Patterson did the same. Still other wives served as First Ladies but always with the support of a daughter: Elizabeth Monroe and Eliza Monroe Hay, Abigail Fillmore and Abby Fillmore, Jane Pierce and her aunt Abby Means. In the case of Letitia Tyler, who was paralyzed by a stroke, her daughter-in-law Priscilla Cooper Tyler took a highly visible role as hostess along with her daughter Letty Tyler Semple. In one case – William Henry Harrison’s wife Anna – the presidential wife did not initially come to Washington and she designated her daughter-in-law Jane Harrison to serve. In more modern times, while there have been presidential wives who have served as First Lady there were incidents when they were unable to serve as the hostess at public events. When Betty Ford was recovering from breast cancer surgery, her daughter Susan served as official hostess at one state dinner. 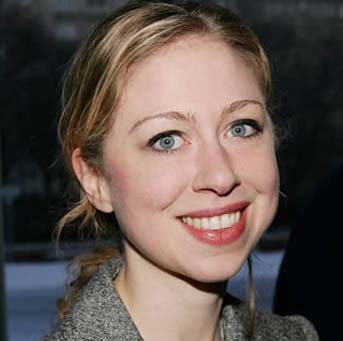 Most recently, while First Lady Hillary Clinton was campaigning for the U.S. Senate in 1999 and 2000, her daughter Chelsea Clinton served as President Clinton’s companion on an official state visit to Australia – but never served in any official capacity in the White House. There is even some precedent for multiple individuals serving in this capacity. When Jacqueline Kennedy was away on her numerous foreign travels, President Kennedy asked several different women in his family to serve as hostess for arrival ceremonies of visiting foreign dignitaries, public goodwill/charity photographs at the White House, or even to travel with him on foreign trips - including his mother Rose Kennedy, and his three sisters Jean Smith, Eunice Shriver and Patricia Lawford. There is also the possibility of depending on the spouse of a Vice President or Lieutenant Governor. In the case of Ida McKinley who did serve as the public First Lady, yet whose condition of seizure disorder did not always mean her physical health was reliable, “Second Lady” Jennie Hobart always stood behind her on receiving lines as a “back-up” support. With Jackie Kennedy, “Second Lady” Lady Bird Johnson often filled in at the last minute when the First Lady was unable to appear at social events. Finally, there are also those incidents of single or divorced governors, or even women governors to consider. In the case of a recent Maryland governor who was a bachelor, he designated his long-term female companion (whom he never married) as official hostess. In earlier times, the first woman governor Nellie Tayloe Ross, served both as the chief executive of the state and then also as the hostess at events in the governor’s mansion. This has been the case of some female governors who were either married, widowed or single. I think you can see that the range is wide. In the case of designating someone (maybe at some point, even a male to a female governor), to plan, oversee and/or host the public entertaining, it is essentially a personal decision of the governor – as is the degree to which they would play a public role. Certainly, media speculation about and public reaction to a non-spouse serving in this quasi-official role (most specifically, a non-elected non-married person having some control over state budget funds for entertaining or refurbishing the official mansion, or even leading a cause or charity, or lobbying in support or opposition to legislation) can be expected. However, I believe that if a governor affirms the choice of who they want at their side as an unsalaried companion, that ultimately the public has no choice but to except that decision. Isabella Hagner was born in 1876 in Washington, D.C. Her ancestors had settled in the "District of Columbia" in 1799, before it was even designated Washington after the first president when he died in 1800. The family was not wealthy and supported itself through several generations as government employees. Raised in the neighborhood surrounding the White House, with LafayettePark as her playground and St. John's Church (the so-called "Church of the Presidents") as her family parish, she was well known in Washington social circles. Her father was Charles E. Hagner and the niece of Judge A.B. Hagner of the Supreme Court of Washington, D.C. She first went to work as a social secretary for the wife of Elihu Root, a U.S. Senator from New York, and then worked as secretary for the niece and hostess of a Senator, Chauncey Depew. She was selected as White House social secretary and press secretary by Edith Roosevelt (1901-1909), Helen Taft (1909-10), and Ellen Wilson (the first wife of President Woodrow Wilson) (1913-14). After Mrs. Wilson's death she continued to plan White House social functions for the widowed president until his remarriage in 1915. She lived for nearly another thirty years in Washington, D.C. but I have no been able to determine what work she did between 1915 and her death in 1943. What is especially interesting about her - besides being the first federally salaried employee of a First Lady - is that she is the only one in that capacity to work for both a Republican and a Democrat! There is evidence of an informal, perhaps private, Easter Egg Roll on the White House lawn that was enjoyed by the children in Presidential families. Although legend claims it originated with Dolley Madison, there is not even scant evidence this is true. There was an egg-rolling contest that was held at the U.S. Capitol on its west greensward. 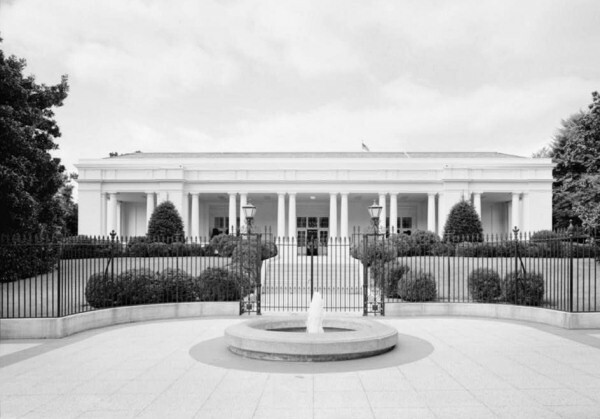 According to the memories of a White House staff member who worked there from Lincoln to Theodore Roosevelt, the grandchildren of Andrew Johnson held an egg roll, and it was one of the few known events that his wife Eliza, who suffered from tuberculosis, made a point of attending, watching from the portico. It was Lucy Hayes who sponsored the first official egg roll at the White House in 1877, when Congress finally banned their annual event because of the damage to the lawn. Frances Cleveland seems to have inadvertenly begun a tradition at the annual event, by bringing along the presidential pet - in her case a large mixed-breed dog named Hector who unfortunately ate too many eggs and got sick after the event. Florence Harding resumed the custom, accompanied by her famous Airedale dog, Laddie Boy. Grace Coolidge mixed it up a bit by showing off her pet raccoon Rebecca. Lou Hoover, president of the Girl Scouts, had a volunteer troop of girls help in organizing the day's contests and also initiated a Maypole dance, where participants danced around a tall pole while each held a different colored ribbon, ending with a pole wrapped in a rainbow of colors. During the Great Depression, Eleanor Roosevelt appeared in her riding jodhpurs, with her famous grandchildren Sisty and Buzzy in tow - along with her German Shephard dog Meggie. During World War I and World War II, under Wilson, the latter FDR years and the Trumans, the event was not held. Indeed, when it was resumed in 1953, Mamie Eisenhower made it clear that she wanted children of all races invited to participate - anticipating the end of racial segregation in public institutions like hotels and theaters in the nation's capital by several months. Jacqueline Kennedy is the only modern First Lady who never appeared - being away for the holiday in 1961, 1962 and 1963 with her family at her husband's family estate in Palm Beach, Florida. During the LBJ years, the first "Easter Bunny" appeared - a White House staff member who circulated the lawn dressed in a giant rabbit costume. During the Reagan years, a new custom was introduced - painted wood eggs which were hidden on the lawn and signed by various celebrities, including the President and Mrs. Reagan. They quickly became collector's items and an even more special line of etched glass eggs were soon produced and given out to special guests. During one of the early years of the George W. Bush administration, possibly 2002, the Easter Egg Roll was held exclusively for the children of active military serving overseas.